Lyme disease, or Lyme Borreliosis, is a potentially serious bacterial infection that is often associated with debilitating rheumatologic and neurological manifestations and frequently compounded by simultaneous co-infections with other tick-borne diseases .Lyme Borreliosis is caused by the bacterium Borrelia burgdorferi sensu lato, which is a grouping of complex, higher order spirochetal diderms constituted by multiple genospecies from the family Spirochaetaceae; the same family that contains the sexually transmitted disease, syphilis . Since its clinical discovery in 1977 and subsequent identification in 1982 by Wilhelm Burgdorfer, this disease has since risen to the highest ranks of notifiable diseases standing to be the third most notifiable disease in the United States — third only to the sexually transmitted diseases chlamydia and gonorrhea — with an estimated 300,000 individuals impacted every year . Lyme Borreliosis one of the most common vector-borne diseases in the Northern Hemisphere. Borrelia burgdorferi sensu latohas been regarded as one of the most complex microorganisms on the planet . Borrelia is able to evade the immune system using pleomorphic  motile , and antigen shifting tactics  that allow it to act as a stealth pathogen avoiding compliment proteins  and prohibiting the formation of antibodies . Furthermore, members of the Borreliagenus also have immunomodulatory mechanisms that suppress immune processes allowing for unfettered, proliferative environments, which allow for other infections and tick-borne co-infections to exploit susceptible hosts . Prolonged, untreated exposure in this environment may allow for the dissemination and proliferation of bacterium in various tissues, leading to more complex musculoskeletal, rheumatic and neurological manifestations . While each listed tick-borne disease is capable of serious complicated infections and illnesses, some may act in concert with other simultaneously transmitted, and/or subsequently transmitted pathogens from a single or multiple tick bites, respectively. This complex may present a wide-range of clinical manifestations both specific to the type of infection and also unique to the association and pathogenesis of simultaneous tick-borne diseases, thus implying the development of a more profound immunosuppressive effects and widespread tissue involvement . Due to the complex nature of the illness and frequent association with a number co-infections, the signs and symptoms of Lyme Borreliosis Complex may vary case to case. Human genetic and immunologic factors also tend to play a role in susceptibility and clinical expression of Lyme Borreliosis Complex leading to variability in symptoms and symptom progression . Early cases of Lyme disease are generally non-specific, with the exception of the presentation of a hallmark erythema migrans rash in some cases. These early infections are generally hard to catch and often too insensitive to pass two-tier testing diagnostic criteria. In the earliest of recognized cases, some clinical features exhibited are, but not limited to: arthralgia, chills, joint swelling, erythema migrans, fever, fatigue, headaches, dizziness, swollen lymph nodes, stiffness, and diarrhea. If these symptoms persist and/or remain untreated it can lead to chronic, relapsing or otherwise unexplained clinical expressions. Chronic or persistent cases may experience a vast array of clinical manifestations that are dependent on a number of factors such as individual susceptibility, duration of illness, and compounding co-infections. Chronic infection with Borrelia burgdorferiis immunosuppressive in animal models and is intensified with the addition of associated tick-borne diseases. These chronic or persistent manifestations may lead to severely debilitating conditions which diminish quality of life physically, mentally, and socially . Many chronic conditions are often labelled idiopathic and are treated for without acknowledgement or suspect for bacterial infection in these cases . In chronic or persistent cases, some clinical features exhibited are, but not limited to: Chronic early-stage symptoms, facial (Bell’s) palsy, tinnitus, encephalopathy, hyperacusis, acrodermatitis chronica atrophicans (ACA), photophobia, meningoradiculitis, fibromyalgia, cognitive dysfunction, tremor, depression/anxiety, vertigo, neck stiffness, peripheral neuropathy, etc. Lyme Borreliosis is a clinical diagnosis. Decisions to diagnose and treat individuals for Lyme Borreliosis is left to the judgement of the physician based on both diagnostic tools, empirical evidence provided by the patient, and exposure risks. Evidence-based, peer-reviewed guidelines have been established by both the Infectious Disease Society of America (IDSA)  and the International Lyme and Associated Disease Society (ILADS)  in an attempt to shape the definition of Lyme disease, its diagnosis and also its clinical treatment. These guidelines serve as a supplemental resource to help practitioners identify common features and principle manifestations as an aid towards both diagnosis and treatment. Late Lyme Borreliosis develops weeks to years later and is the result of disseminated infection and possibly co-infections. Although Lyme Disease symptoms overlap with symptoms of other conditions such as fibromyalgia, chronic fatigue syndrome, MS, early ALS, RA, lupus and neuro/psychiatric disorders, patients with Lyme Disease often have symptom patterns which are atypical for these other illnesses. Positive Serological Testing via the accepted two-tiered approach: ELISA and Western Blot. Cases that satisfy all of the above criteria represent a rather narrow diagnostic definition of Lyme Borreliosis. Using these principles as the sole determining factors in a Lyme Borreliosis diagnosis will likely result in the exclusion of cases which are Lyme Borreliosis infections, and could have positive outcomes, if treated promptly and completely. Providers and/or trained medical professionals identify previous history or exposure to bites and attachment by tick(s). However, many patients report never having been bitten by tick, possibly due to the small size of the arthropod, the painless bite, and/or attachment in hard to reach or see places. It is of note that other modes of transmittance are being explored. A hallmark presentation unique to borrelial agents that is occasionally seen in early cases of Lyme Borreliosis . This presentation relies on the immunological response of the individual to recognize the pathogen which leads to a dermatological, inflammatory rash often denoted as a ‘Bull’s Eye Rash’. It is of note that not all dermatological responses result in a distinct bull’s eye or a rash at all . The presentation of this distinct dermatological manifestation has been argued to occur in as low as 25% of cases , to as high as 80% of cases . Chronic and/or persistent cases may develop a more serious form of rash calledAcrodermatitis chronica atrophicans (ACA) . As per recommendation by The Association of State and Territorial Public Health Laboratory Directors, Centers for Disease Control, the Food and Drug Administration, the National Institutes of Health, the Council of State and Territorial Epidemiologists, and the National Committee for Clinical Laboratory Standards, a two-tier testing approach is the staple diagnostic tool for clinical evaluation and diagnosis. It consists of two-parts: an enzyme-linked immunosorbent assay (ELISA) and a confirmation test done by a Western Blot (WB). Again, in the absence of definitive objective manifestations or laboratory markers, there is rationale and precedence for the use of empirical judgment by practitioners to effectively diagnose and treat the patient based on the presentation of symptoms, concerns of the patient and elimination of other potential culprits. Lyme disease is denoted by the International Lyme and Associated Diseases Society, the Infectious Disease Society of America and the Centers for Disease Control as a clinical diagnosis and is left to the judgement of the physician whether or not to treat based on objective and empirical evidence. Medically recognized standards of care and diagnostic practices are generally the sole medical source accepted by physicians and medical boards and associations and are often utilized by practitioners as the appropriate response to diagnosing and treating individuals. In the case of Lyme disease, there are two medically accepted standards of care: one denoted by the International Lyme and Associated Disease Society (ILADS) and the other by the Infectious Disease Society of America (IDSA). Both entities provide treatment recommendations for Lyme Borreliosis based on peer-reviewed, evidence-based practices. Although the original guidelines have been pulled by both the National Guideline Clearinghouse and Centers for Disease Control, the remnants of these guidelines remain on the CDC website, without reference to any government accepted guidelines. 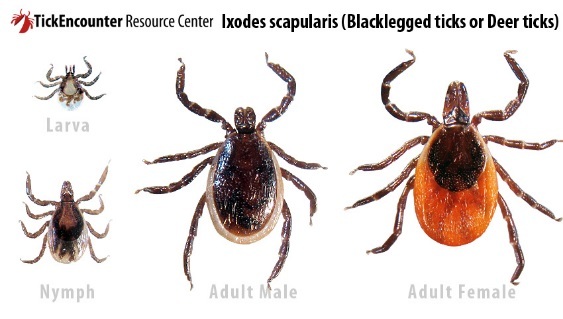 Lyme borreliosis is primarily transmitted through the bite and attachment of hard-shelled ticks from the Ixodesgenus. There are two notable species in the United States known to carry and transmit Borrelia burgdorferi s.l. 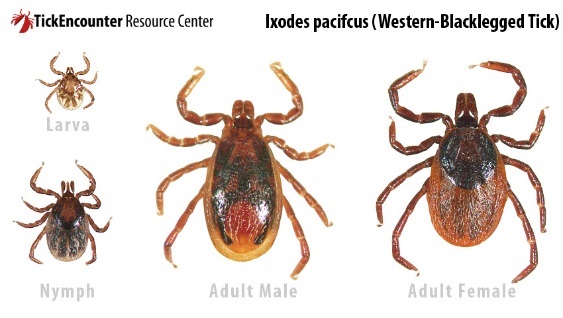 : Ixodes Scapularis, a predominant east coast arachnid, and Ixodes Pacificus, a predominantly west coast arachnid . These ticks may be found heavily in the Northeast, Pacific and South Atlantic regions of the United States, with suggested growing populations stemming into the Mountain and Central regions . These ticks have a high propensity to be largely in wooded areas, near low brush or tall grasses. Homes near these areas may experience elevated exposure to these ticks in their homes, yards, on livestock and household pets. Having household pets near these areas increases the likelihood of attachment by ticks to people or other animals inside the home . It is of note that ticks are not endemic to wooded areas. Research conducted in urban settings have discovered small populations sporadically throughout urban and sub-urban cities showcasing small populations in parks, small patches of forest and gardens . Children are at the highest risk for infection due to elevated exposure to the outdoors. In addition to elevated exposure it could also be argued that children also do not self-check after being outdoors (notice physical anomalies as cautiously as adults), may also improperly remove ticks or simply cannot visibly see or feel the attachment. Research suggests that attachment time of the infected tick plays a role in the transmittance of the pathogen, however these studies do not take into account previous vector attachment to other hosts, other potential co-infections within the system (which may aid in transmittance via motile pathways or antigen expression) and immunological variation in humans from animal models and additionally, intra-immunological variation within other human counterparts. Utilizing attachment time as a barrier to diagnosis may pose unnecessary risk on the patient. Symptoms and concerns of the patient should be evaluated without subjective reference to attachment times. Special thanks to Joseph G. Jemsek, MD, FACP, Tyler M. Barry, and Senay K. Ghidei from Jemsek Specialty Clinic for assisting Indiana Lyme Connect with the research and writing of this page. While Jemsek Specialty Clinic aided in the production of this page, the company does not necessarily endorse any methods or information contained on this page that it did not contribute, nor do those methods or information reflect the viewpoints of the clinic. 2. Benach, J. L., Coleman, J. L., Habicht, G. S., MacDonald, A., Grunwaldt, E., & Giron, J. A. (1985a). Serological evidence for simultaneous occurrences of Lyme disease and babesiosis. J Infect Dis, 152(3), 473-477. 13. Liang, F. T., M. B. Jacobs, L. C. Bowers, and M. T. Philipp. 2002. “An immune evasion mechanism for spirochetal persistence in Lyme borreliosis.” J Exp Med 195 (4):415-22. 18. Steere, A. C., Bartenhagen, N. H., Craft, J. E., Hutchinson, G. J., Newman, J. H., Pachner, A. R., . . . Malawista, S. E. (1986a). Clinical manifestations of Lyme disease. Zentralbl Bakteriol Mikrobiol Hyg A, 263(1-2), 201-205. 22. Benach, J. L., Coleman, J. L., Habicht, G. S., MacDonald, A., Grunwaldt, E., & Giron, J. A. (1985a). Serological evidence for simultaneous occurrences of Lyme disease and babesiosis. J Infect Dis, 152(3), 473-477. 23. Salvatore Benvenga, Fabrizio Guarneri, Mario Vaccaro, Libero Santarpia, and Francesco Trimarchi. Homologies Between Proteins of Borrelia burgdorferi and Thyroid Autoantigen. Thyroid. November 2004, 14(11): 964-966. doi:10.1089/thy.2004.14.964. 24. Solomon, S. P., Hilton, E., Weinschel, B. S., Pollack, S., & Grolnick, E. (1998). Psychological factors in the prediction of Lyme disease course. Arthritis Care Res, 11(5), 419-426. 28. Ho, K., Melanson, M., & Desai, J. A. (2012). Bell palsy in lyme disease-endemic regions of canada: a cautionary case of occult bilateral peripheral facial nerve palsy due to Lyme disease. CJEM, 14(5), 321-324. 31. Cameron, Daniel J, et al. “Evidence Assessments and Guideline Recommendations in Lyme Disease: the Clinical Management of Known Tick Bites, Erythema Migrans Rashes and Persistent Disease.” Expert Review of Anti-Infective Therapy, vol. 12, no. 9, 2014, pp. 1103–1135., doi:10.1586/14787210.2014.940900. 34.Steere A.C., Dhar A., Hernandez J., Fischer P.A., Sikand V.K., Schoen R.T., Nowakowski J., (…), Persing D.H.
(2003). Systemic symptoms without erythema migrans as the presenting picture of early Lyme disease. The American Journal of Medicine, 114(1) , pp. 58-62. 36. Berger, B. W. (1984). Erythema chronicum migrans of Lyme disease. Arch Dermatol, 120(8), 1017-1021. 38. Bingham, P.M., Galetta, S. L., Athreya, B., & Sladky, J. (1995). Neurologic manifestations in children with Lyme disease. Pediatric, 96(6), 1053-1056. 39. Centers for Disease Control (CDC). (2015) Lyme Disease Data and Statistics. Retrieved from https://www.cdc.gov/lyme/stats/index.html. 41.Trevejo, R.T., Krause, P.J., Sikand, V.K., Schriefer, M.E., Ryan, R., Lepore, T., Porter, W., Dennis, D.T. Evaluation of two-test serodiagnostic method for early Lyme disease in clinical practice. J Infect Dis. 1999 Apr;179(4):931-8. 42.Dressler, F., Whalen, J.A., Reinhardt, B.N., Steere, A.C. Western blotting in the serodiagnosis of Lyme disease. J Infect Dis. 1993 Feb;167(2):392-400. 43. “Notice to Readers Recommendations for Test Performance and Interpretation from the Second National Conference on Serologic Diagnosis of Lyme Disease.” Centers for Disease Control and Prevention, Centers for Disease Control and Prevention, 11 Aug. 1995, www.cdc.gov/mmwr/preview/mmwrhtml/00038469.htm. 45. Hahn, M. B., C. S. Jarnevich, A. J. Monaghan, and R. J. Eisen. 2016.”Modeling the Geographic Distribution of Ixodes scapularis and Ixodes pacificus (Acari: Ixodidae) in the Contiguous United States.” J Med Entomol. doi: 10.1093/jme/tjw076.